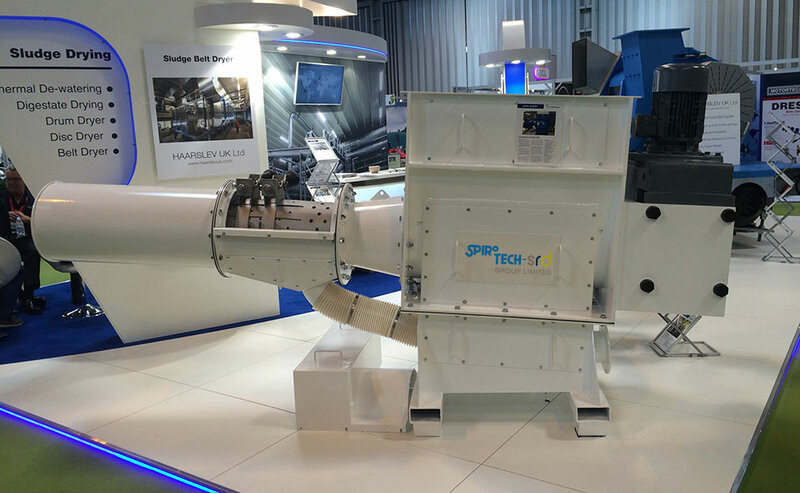 The Spirotech-SRD Revolution Waste Compactor is powered by an energy efficient drive incorporating a specially designed screw system. 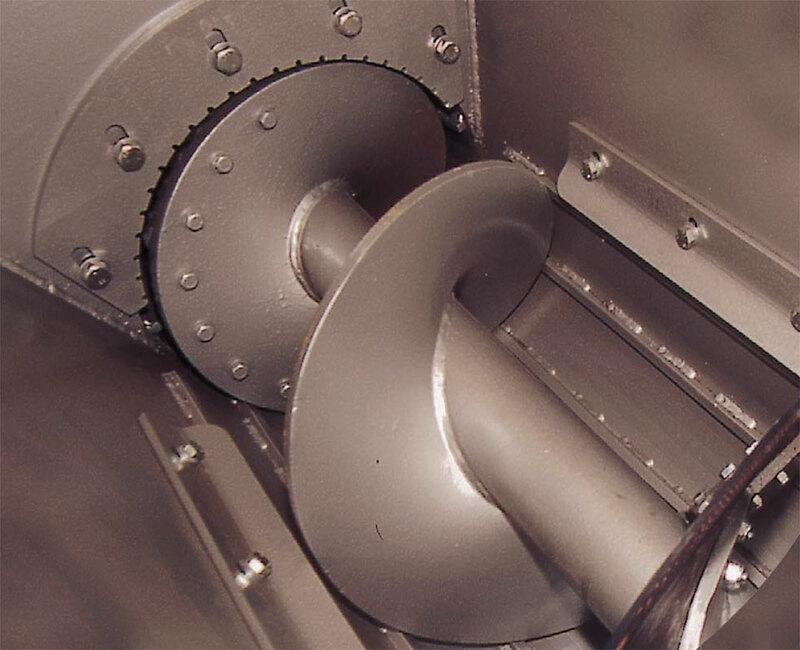 Material is squeezed and twisted past a cutter plate before entering a unique compaction chamber that progressively reduces the volume of waste. 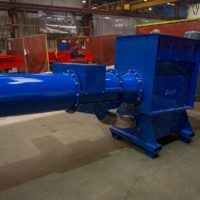 The waste is then extruded through a self adjusting nozzle in the form of a dense plug and can be discharged into any type of bin or container. 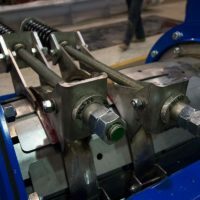 Since the plug will not re-expand, it can be extruded and sealed in polythene sausage wrap. 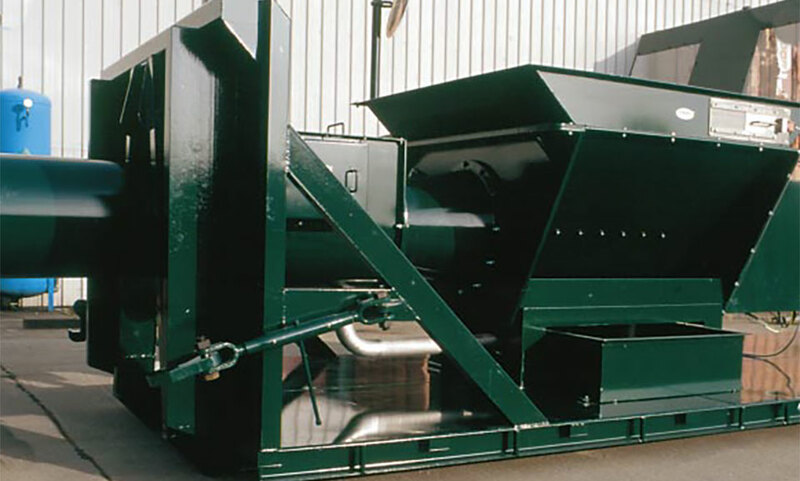 The Revolution Waste Compactor technology overcomes many of its competitors weaknesses, typically achieving higher compaction ratios of 15:1 on mixed general waste and up to 60:1 on certain homogeneous waste streams. 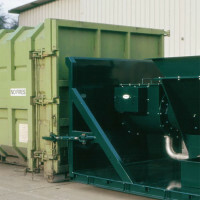 Conventional ram compactors operate by forcing waste into and against the end of the bin, only beginning to compact the waste when the bin is around 80% full. 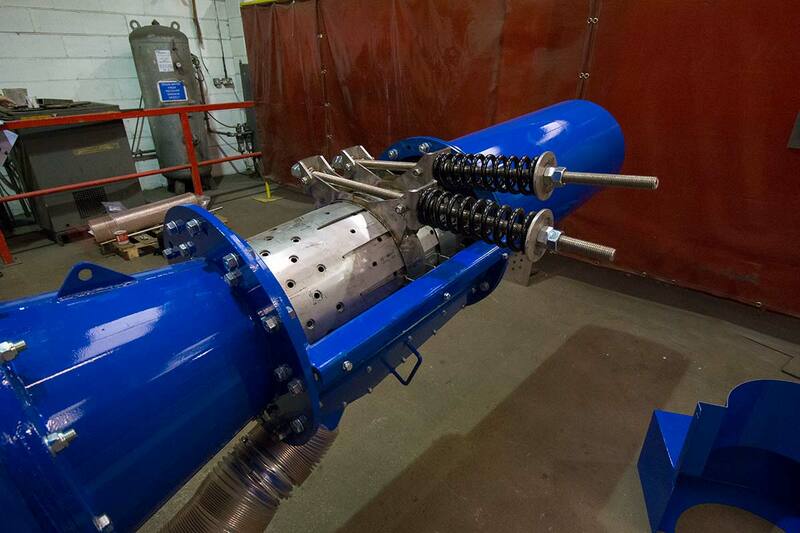 This can result in material springing back to near its normal volume when the compaction pressure is released. 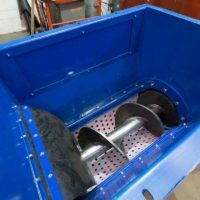 Revolution destroys the memory of the product, reducing compaction loads on the bin or waste container and allowing easy emptying. 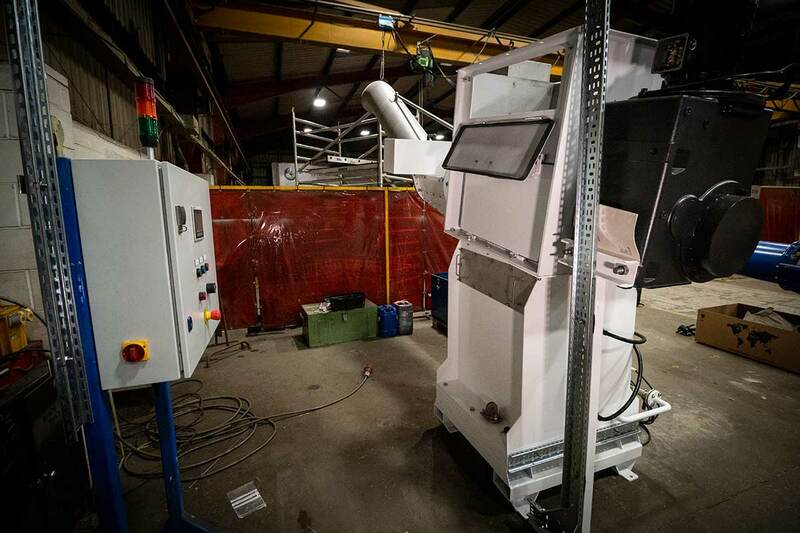 The Revolution Waste Compactor is fully programmable to suit varying waste streams and throughput to maximise efficiency and minimise time and costs. 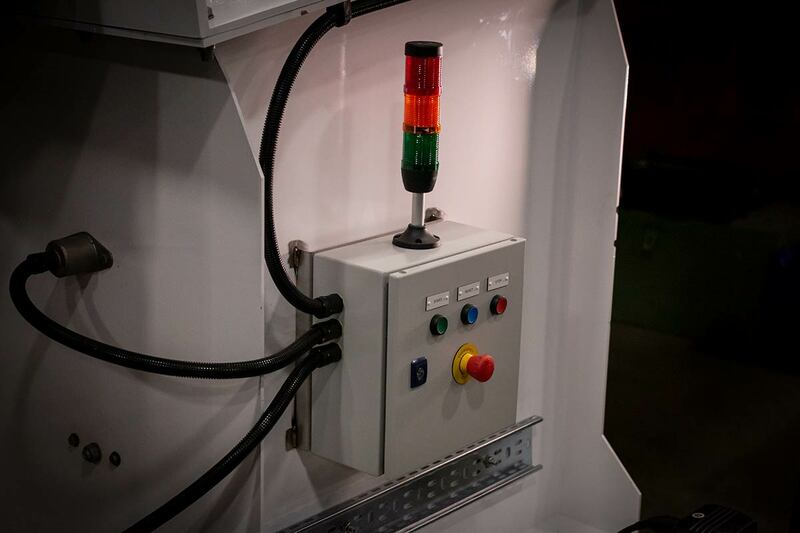 Data logging and modem communication allow simple and optimum management of the Revolution. 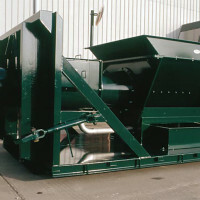 Spirotech-SRD Group produce a range of waste compactors for a variety of industries. 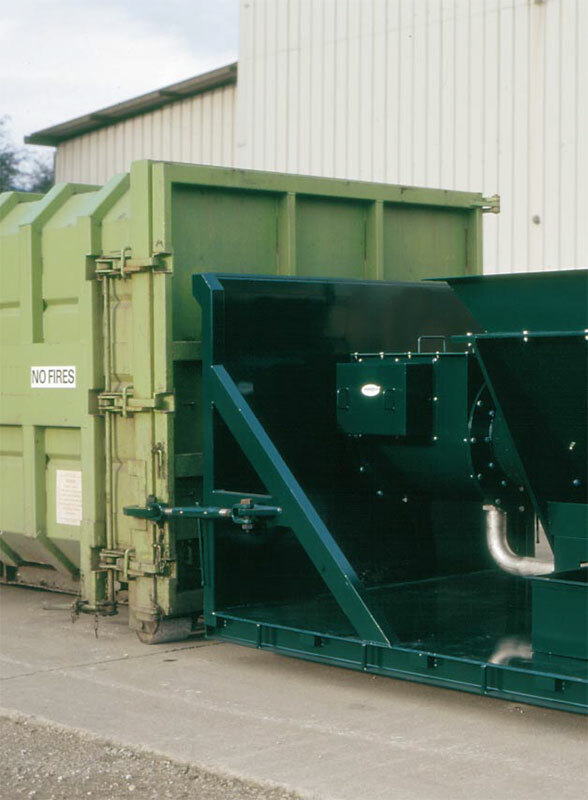 Revolution is particularly effective in reducing the volume of hazardous and non-hazardous mixed general waste. 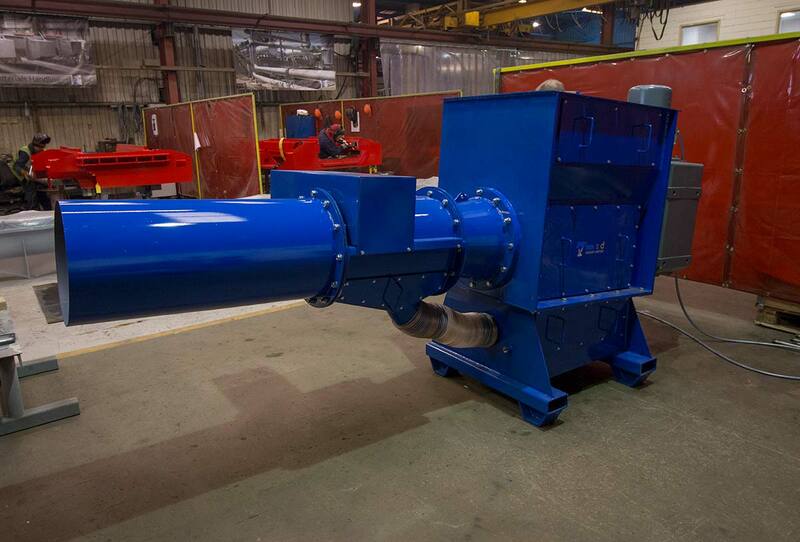 The twisting and shearing action of Revolution destroys the waste materials’ memory, preventing it from re-expanding. 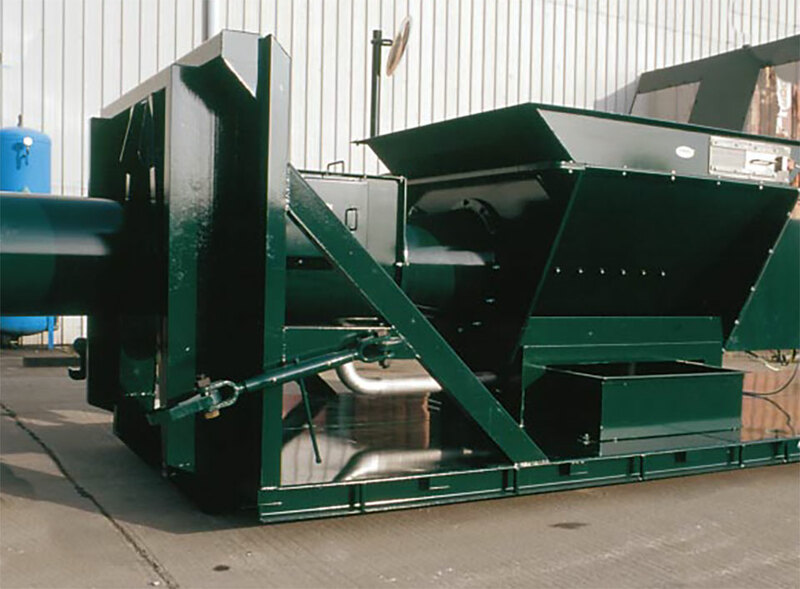 High compaction efficiency dramatically increases the weight achievable in waste bins and thus reduces waste transportation costs. 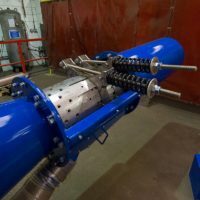 Revolution technology is capable of removing liquid from various containers, including HDPE and PET bottles, tetrapaks, metal tins and drums. 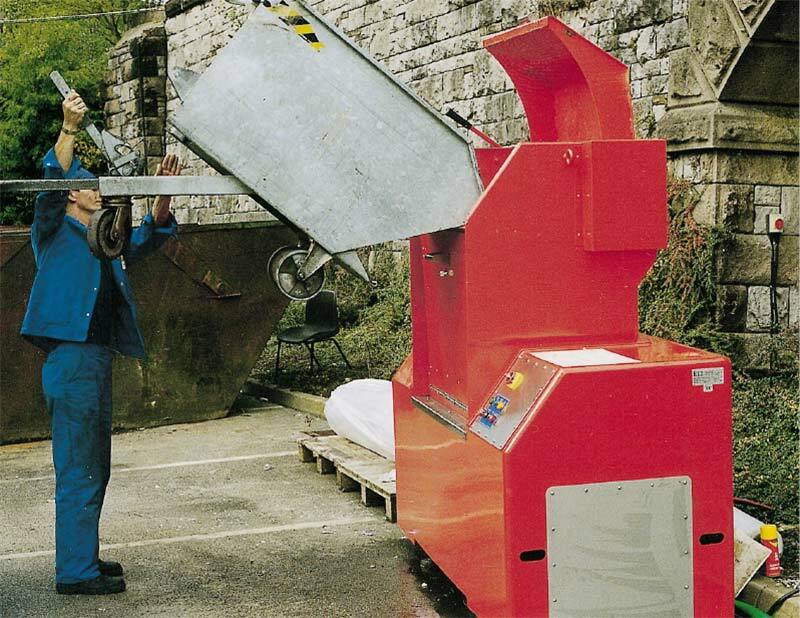 Unlike conventional compactors this liquid can easily be reclaimed for recycling or disposal. 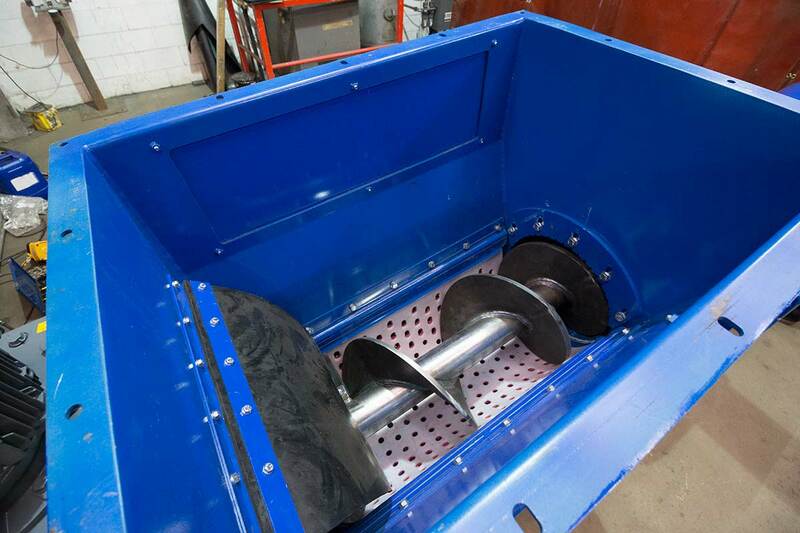 Liquid removal also reduces the weight of the material to be transported to landfill, eliminating the problems and the penalties associated with wet waste at landfill sites. 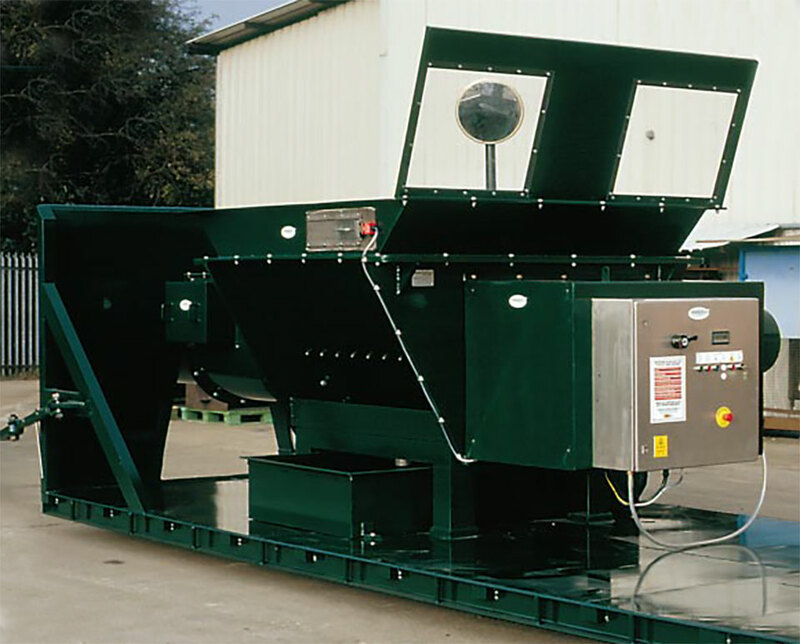 Read more about the 400 Series Sludge dewatering compactor. 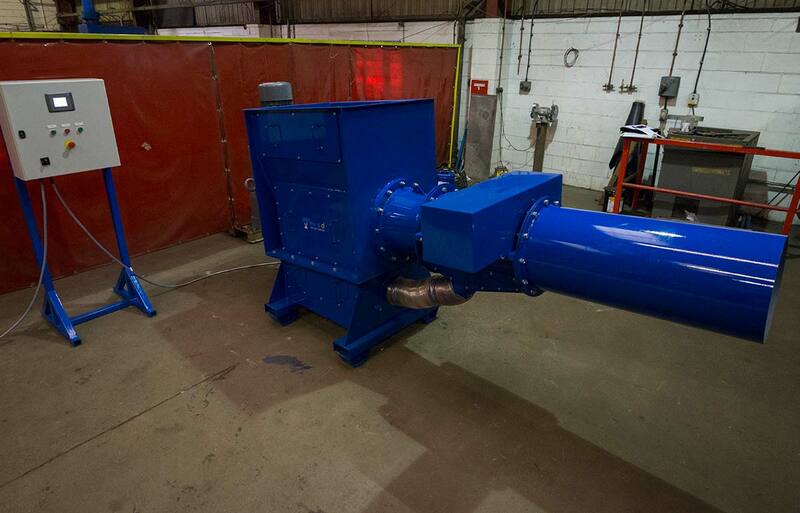 Revolution allows processing and extrusion directly into thermal recycling and energy plants. 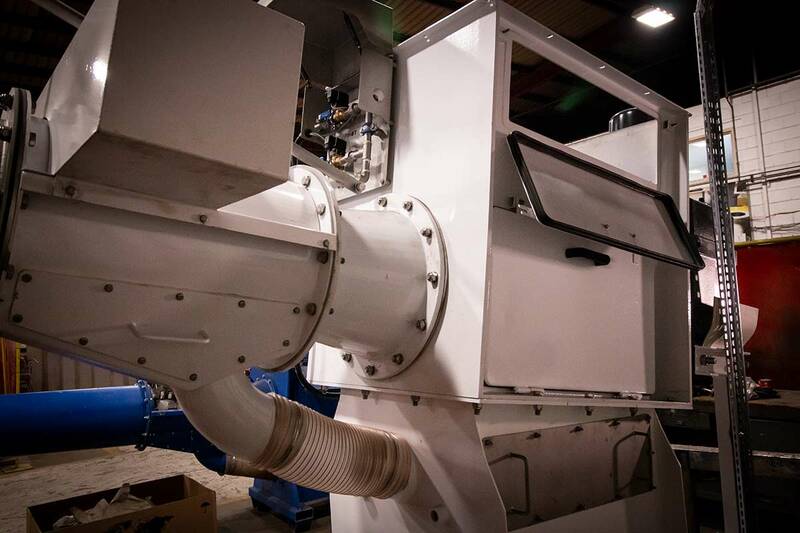 The patented design extrudes material without allowing ingress of air and can be fully sealed and integrated into the thermal plant. 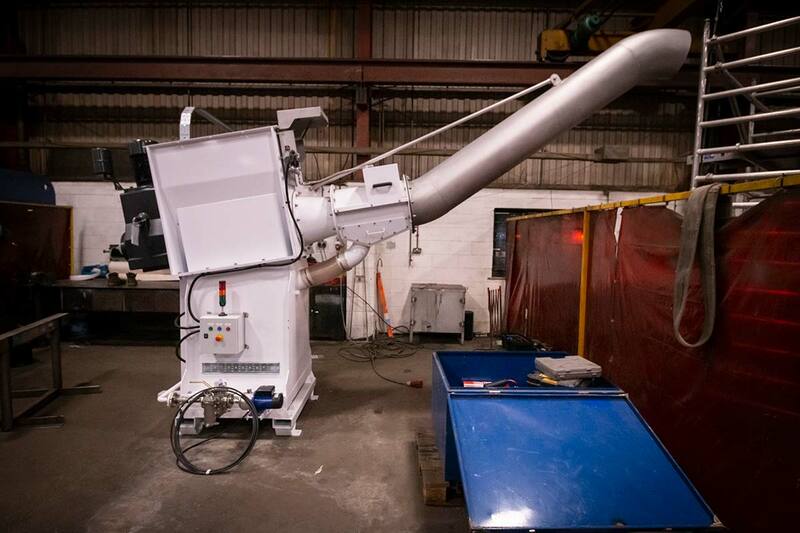 Revolution customers process and densify material to ease handling and transportation. 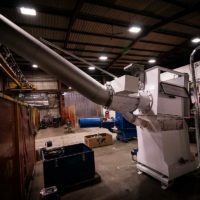 Batch processing and segregation can also provide material in a form that is optimised for the recycler, further reducing costs to the customer. 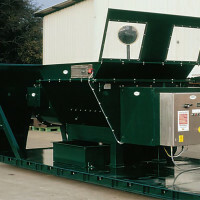 Revolution can be used at the point of waste production to destroy confidential material and components, or contraband. Most businesses or agencies with a need to render material unusable or unrecognisable can use Revolution. 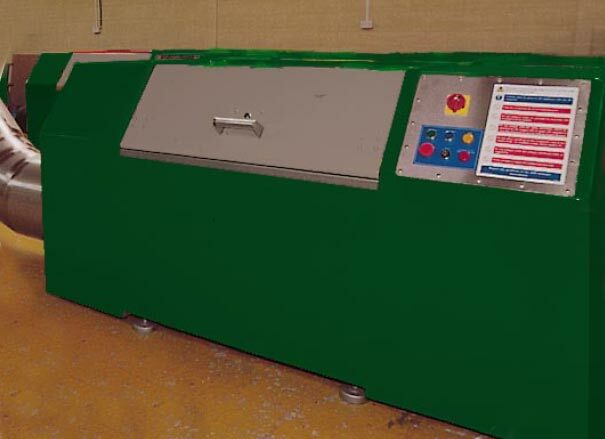 The technology avoids the need for costly deep burial and ensures material does not reappear on the black market. 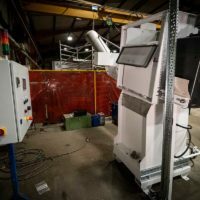 The Revolution is therefore ideally suited to pharmaceutical, automotive and consumable markets. 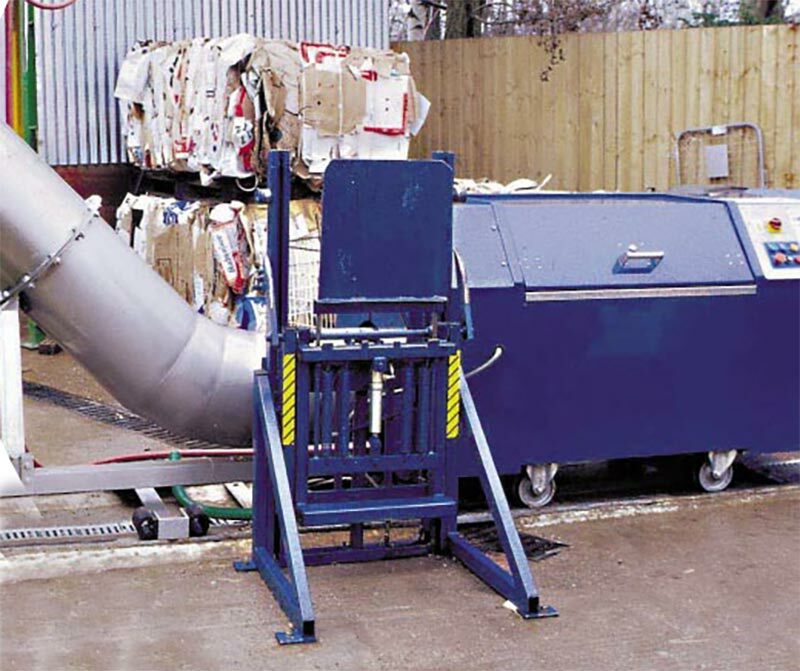 Revolution can be used at the point of waste production to destroy confidential material, sub-standard products and contraband. 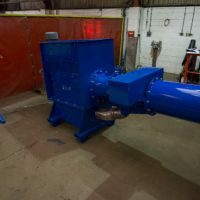 Most businesses or agencies with requirement to destroy material and products or render them completely unrecognisable can use Revolution. 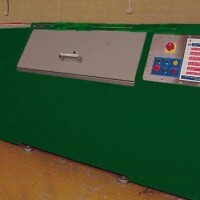 The technology avoids the need for costly deep burial and ensures material does not reappear on the black market. 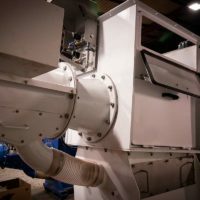 Revolution is ideally suited to the secure destruction of products typically produced by pharmaceutical, automotive, food and consumable markets. 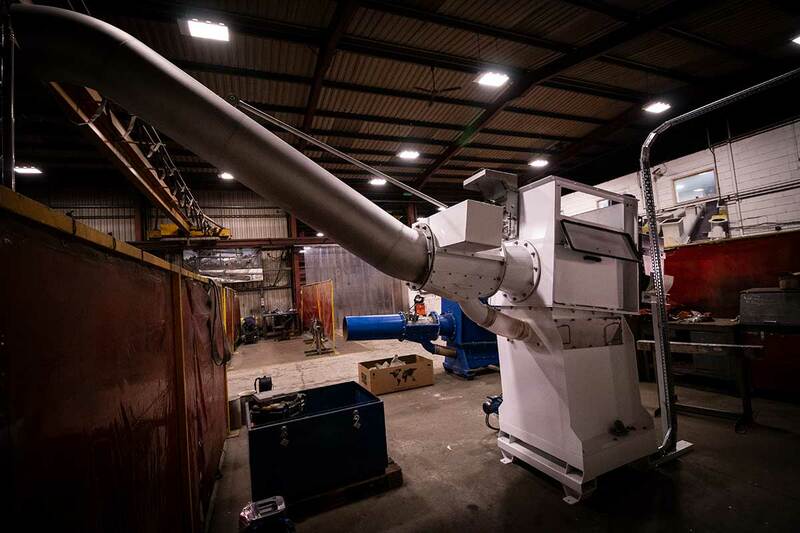 Saves money via load optimisation – volume is reduced and weight in waste containers is increased, often dramatically, resulting in greatly reduced uplifts. 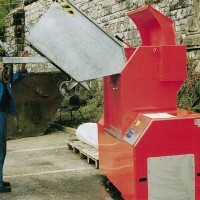 Waste collections are fewer and more efficient. 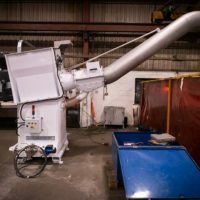 Secondary handling of waste/material is eliminated – Revolution automatically processes, compacts and discharges into the container. 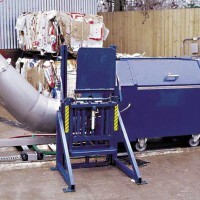 Staff are released to other tasks and the cost of labour required to handle material and clean waste handling is greatly reduced. Popular with staff, minimal training required. 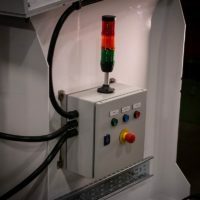 After providing a CAD generated drawing of your application for your approval Spirotech-SRD will install, commission and train your operators. 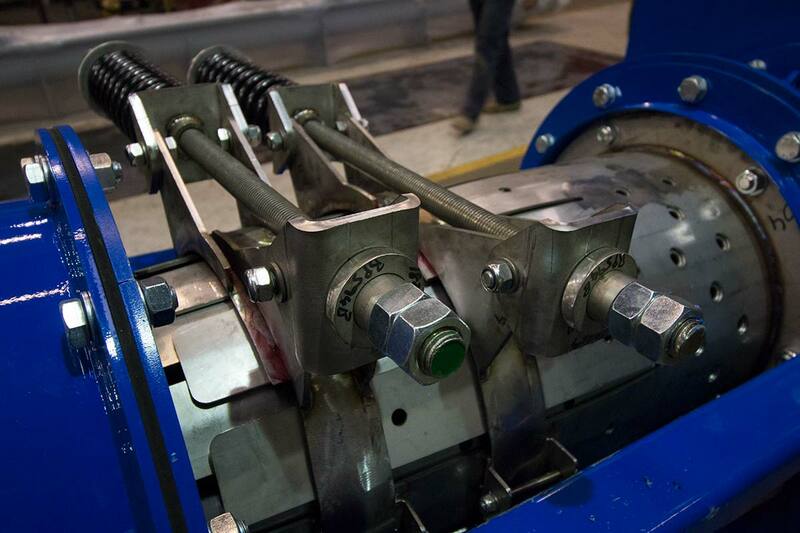 Spirotech-SRD Group also offer long/short term hire on range Revolution machines. 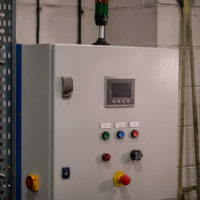 Hire includes delivery, installation and training. 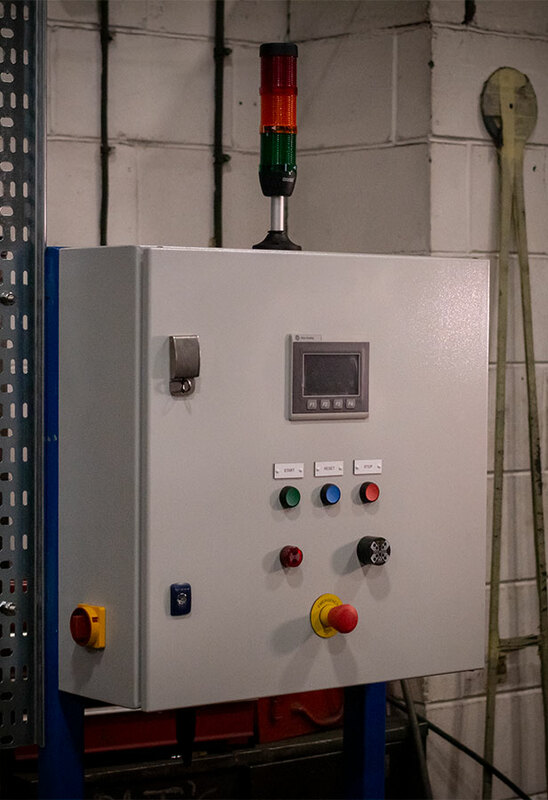 For further information and hire rate please don’t hesitate to contact us by calling +44 (0)1487 832 053 or by email to sales@spirotechgroup.co.uk. 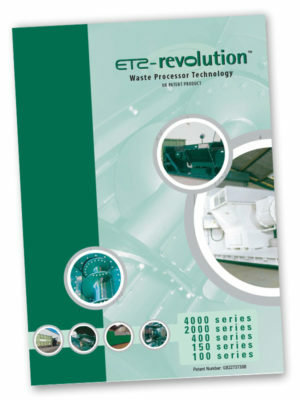 Download the ET2-Revolution Waste Compactor brochure. 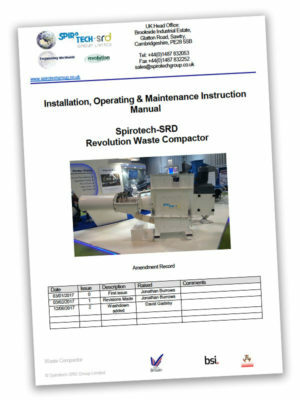 Download the Installation, Operating & Maintenance Instruction Manual for the Spirotech-SRD Revolution Waste Compactor.